If you are a real traveler you will always find a way to escape the 9 to 5 life. While I was working I realized that I can travel during the weekends and it turns out that it is not that difficult to do after all. I hate waiting for August to travel, this is when everyone is on vacation and every place is packed so you cannot fully enjoy. Another great thing for me is that I live in Europe so we have flights to most of the cities, so I can reach my destination sometimes in less than 2 hours. City breaks do not require too much planning and packing. You can do it on your own or if you do not want too much hassle you can find the best package deals on TripAdvisor and all you have to do is show up and enjoy your trip. When it comes to London I am a little biased. It is my favourite city in Europe and it will always come first. It is a city that is so diverse so you always have something new to do. So going back to London is always a good idea. There are different festivals throughout the year, cool neighborhoods to explore and quirky art galleries to visit. Amsterdam is one of the most popular tourist destinations in Europe, and that is for a reason. You will find some of the most leading museums here and the architecture is nothing like any other in the world. The city has a unique charm and I have not heard not even one person to say that was disappointed of this city. The canals, which are recognized as an UNESCO Heritage Site, are beautiful and photogenic, the parks are clean and relaxing and the religious buildings are extraordinary. 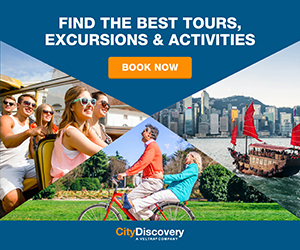 Your weekend will be way easier if you choose some of the tours that City-Discovery has to offer. There are plenty of discounts on museums and attractions and even day tours that can take you to other popular places in the Netherlands. Ljubljana is the capital of Slovenia. This city is so tiny so everything is in walking distance. There are not many attractions that you can visit here but it is a perfect place for a city break where you can really relax. There are some nice cafes and markets that you can visit and grab a bite. The most popular attraction here is the castle, where you can see the whole city from above. From Ljubljana you can take day trips to Postojna Cave and Lake Bled. Some say that Belgrade is a bit off the tourist trail but I cannot agree with that. The city is small and beautiful and it has rich history. You can do many things in Belgrade and always find new ways to entertain yourself and the best part of it, it is really cheap. In Belgrade you will find one of the most beautiful bohemian quarters, Skadarlija. You can witness the damage of the NATO bombings from 1999 on some of the buildings. You have probably heard of Croatia since it has some of the most beautiful beaches and national parks in Europe. Many people are heading to the coastal destinations and missing the opportunities that this city has to offer. The city of Zagreb is very beautiful and it has many things to offer. It is a small city but it has some of the most splendid Christmas Markets in Europe. Skopje is a small city in Macedonia. The city was redesigned in 2014 and has a completely different look now than it used to have. There are many statues which some people find appealing and other find it tasteless. I was surprised to find out that it is called the Statue Capital of the World. Sofia is another great city you can visit if you are heading to the Balkans. There are many attractions you can see and the ones that you should not miss are the National History Museum and the National Archeological Institute. My favorite part when I traveled to Sofia was drinking cocktails on the Rooftop Bar at the Sense Hotel. Greece, just like Croatia is known for its beautiful beaches and spectacular islands, but big cities deserve your time too. In Thessaloniki I tried my first greek coffe and it is really strong no matter how much sugar you add. There is no other city where you can see a mix of Byzantine, Greek, Roman and Ottoman architecture. If you plan your trip well, a weekend is just enough for Paris. Most of the landmarks are in walking distance and if you want to go further, the public transportation is great, after all, it is Paris we are talking about. Amalfi Coast is probably the most Instagramed coastline in Italy. It is the place where the elite hangs out. Weekend is not enough since there are couple of towns you can visit but you can choose one and it will give you a taste of all the things that this coast has to offer. All roads lead to Rome, so do the airports. Rome is the perfect weekend city break. I mean you can never get enough of this Italian capital. The city is a Holy Grail for religious people and History Lovers. I love cities where you can wander endlessly without using transportation. Everything in Venice is in walking distance and the city is the biggest rival to Paris as a place for romance. This is the perfect city to get lost and enjoy the breathtaking scenery. I have visited Vienna while I was backpacking Europe and instead of 2 days, I stayed 4 days in the capital of Austria. The city has so much to offer. If you have the energy you can go from one castle to another and if you do not, you can drink Viennese coffee and eat the famous strudel. Edinburgh is the proud owner of some of the most impressive architecture in the UK. If you decide to visit this city you will have an amazing experience since the city has a rich culture, and you can even have a custom made kilt for you. Madrid offers endless opportunities for every traveler. It has rich history, magnificent museums, delicious food and awesome fiestas. With so many things to do it can be overwhelming to decide on couple of things only. If you are heading to Madrid you should check my article on: 12 Things you shouldn`t miss in Madrid. Ah Barcelona! I do not know how many times I have been there and every time I go I find something that I have not seen before. It is true that you need more time to explore Barcelona but it is still great for a weekend getaway. You can divide the city in sections and every time you go you can explore one part of Barcelona, just a thought. If you are heading to Barcelona, you can check my article on Places to Tick Off your Barcelona Bucket List. Prague is a city that is simply magnificent. There are many monuments that you can visit, museums you can explore food and bear you can try and I can keep going on and on. The best part of Prague is that there are many installations that can appear in front of you while you are taking a simple stroll. Budapest is probably one of the greatest and most affordable destinations in Europe. The city is enormous and there are so many places that you can visit so you can never feel bored. This city is really a traveler`s dream. Oslo is the capital city of Norway. The city is quite small so if you can spend 3 full days there you can cover everything there is to see. The best time to visit Oslo would be early spring, since there will be snow but it would not be that cold like in winter. Iceland is the land of natural wonders. You have probably seen the photo of the blue lagoons before. It is a bit pricey but if you are a smart traveler and if you plan your trip wisely you can still have an affordable holiday. Lisbon is the latest hot destination in Europe. Probably the reason for that is that it is very easy to adjust to Portuguese way of life including late night walks by the ocean, coffee on the cobblestone streets and remarkable cuisine. Istanbul is a city that should be on everyone`s bucket list. The city stretches over 2 continents and has some of the most beautiful sceneries. It has so many secret spots so if you are visiting it would be great to explore the city with a local. Milan is the city of fashion. So if you are a fashionista or a shopping goer this is a perfect place for you. But that is not all that this city has to offer. Start your tip at the very popular and recognizable Piazza Duomo and see where the city will take you next. Nuremberg might be Germany`s best kept secrets. The town is simply breathtaking and it is a home of a 1000 years old castle. The city played a major role after the World War II since this is where the Nazi rallies were held. Frankfurt is nothing like any other city in Germany. At first look one might think that it is in New York because of the high concrete skyscrapers. It is the financial center of Germany and a gateway to Europe thanks to the Frankfurt International Airport. The city has many things to offer, so all that it is left it is to go and see it for yourself. If you are looking for a city to get away and unwind from your every day troubles then you have come to the right place. If you click on the image below you can find the best tours and packages that your favourite destination has to offer. There are also airport transfers from many airports so check if yours is on the list. And that is not all, if you use this coupon you can get up to 80 % discount on many tours and activities. All you have to do is to click on this link. Have you been to any of these cities? Do you have a favourite weekend getaway? Would add another city to the list? I cannot decide which city looks like the most awesome to visit. If I had to pick just one place, I would probably go to London. I went to England in my teens and have wanted to go back ever since. Italy, Greece and France are near the top of my travel bucket list so I’d love to see cities there. I am not even sure how I Would decide which city to take a weekend break to. They all look so beautiful. It’s great to take a weekend break, we do an every other weekend break. Working from home full time, both of us, tends to be a little mundane at times so we enjoy getting out and traveling our area. Prague is one of my favorite places to spend a weekend! It is a beautiful city! I will definitely have to check out Budapest. Its been on my list. Oh to live in Europe and be able to visit all these places! It’s quite the trip from North America (sadly, not a weekend break kind of thing lol) but definitely going into our bucket list! So many places I want to visit. London is at the top of my list. Gosh this makes me want to travel! Oh can I go now? I have always wanted to go to the Amalfi Coast. I think I would travel there first. I’m ready! Let’s go! It all looks amazing. So many gorgeous and wonderful cities to visit. I would love to visit Europe! Your photos are just stunning and after reading this, I want to go to every city on the list!! You’ve featured many cities that I already had on my travel wish list but now I have even more! I spent a week this summer in London and Cornwall and loved every minute of it. I have visited some and others in my bucket list! My favorite will always be Rome… I spent three months there in the summer of 2011 and I’ve been wanting to come back since then. London, Paris, Croatia? Yep, I’d spend a weekend in all three. Any of these cities, come to think of it. Last year, we covered Italy and Switzerland and this year we are planning U.K and Scotland but after reading this post and the pics I think I need to include few more places in the trip. Absolutely love this post and I am going to pin it right now! This post really made me want to go back to Europe! I’ve actually been to a lot of places on this list, but the pics of ones I haven’t been to yet have ignited my travel bug! As an English teacher I have always wanted to visit Anne Frank’s house. However, I do how the fortune of living near to both London and Edinburgh. There is no doubt that I would love to stay a month in Europe so many thing to see and enjoy. I was there last year and we spent 2 weeks not enough for all teh tuff we wanted to cover. I am dying for going back. You are right, I put off travelling because of money and other extenuating circumstances and this year I will now be going to Tuscany, Valencia Spain, Granada, Poland and places across the UK! I have always wanted a weekend City Break in Amsterdam! Those pictures are absolutely breathtaking! Travelling around Europe has always been a dream of mine and Rory’s and this sounds like a great place to start! wow, I started with.. I’m in for Netherlands, then Slovenia, then Croatia..WHat a lovely list, I was in for all:). I have covered London, Italy and Germany but yet to cover so much else.. Your post gives too many possibilities. All I kept thinking so many places and so little time. Definitely a benefit to living over there and to be able to travel to so many different places. Hopefully when I travel there I will get to see plenty. Wow it is so much to see in Europe, Great that you can have weekend getaways to all these places. I’ve been to London, Paris, Rome, and Barcelona and loved every one of them! I also went to Dublin and that was one of my favorite places I’ve visited. There are so many places I still want to visit both in the US and around the world. Let’s fly to these places!! So many amazing and picturesque places in Europe. I have to apply for visa now!! Europe is always my first destination to visit. If someone offers me thousands of money, I’ll first visit Europe. I’ve been to a few of the places, but I pinned your post as inspiration for future trips to Europe! They are all beautiful destinations! Prague is surely one of the best places in Europe. I would love to go back there if given a chance. Lovely post! I did not expect to see thessaloniki on the list, this is actually where I live 🙂 we do like our coffee strong indeed, it keeps us going 🙂 The mix of cultures is so interesting! Thanks for putting us on the list! I wish I lived in Europe! They all look like fantastic destinations, but for some reason, the ones that caught my attention are Ljubljana and Skopje, the statuettes on this last one got me thinking, what happened in this place? Stunning photos! What wonderful places. I’ve been to about half of these and agree that they were wonderful trips. I would love to visit the rest especially Skopje. Looks like such a wonderful place. Absolutely loved this post, all the pictures are really stunning, Bookmarked this , Venice is the place i would love to visit! Thanks for sharing these cities! I will add these to my travel list! Such a great list of places and beautiful photos! Thanks for sharing these travel ideas. I’ve never been to Europe before, but will add all of these cities to my travel “wish list.” Your photos are stunning! These photos are all so beautiful! I have never been to Europe but I’d love to take a 3-4 week trip and visit all these places. Maybe someday! I have not reached the leve of a real traveler just yet because before this post I would have never considered any of these destinations as possible of exploring and enjoying in a weekend!! I need to start planning quick because these are all on my lists but I never thought they were possible in this way. Awesome post! Can I be just a little jealous? All of these cities are on my bucket list. I hope to travel to Amsterdam next year but the photos are so beautiful. I am in LOVE with your photos!! that pirate ship WOW! I want to see it! I guess I better get my passport! I would love to visit all of those cities! I love to travel and It’s my mission to visit as many european cities as possible! So many amazing places to visit in Europe. I’ve visited Paris twice now and would go back in a heartbeat. London is also a dream to get to explore. Next on my list to visit is Italy and Ireland! You have a great list places to visit in Europe. Breathtaking pictures you have. If only, I would like to go to the ones listed in your list. I have not had the pleasure of visiting any of these cities yet however now I can’t decide where I want to go first. All of the photos look absolutely amazing! They truly are many beautiful works of art I think if I had to narrow it down I would choose London and Greece first. Every single one of those cities makes me want to book a flight right now. Wanderlust is taking over! I wish I had gotten to explore more of Europe the last time I was there. London and Paris is on my travel bucket list! Thanks for curating this list. Omg LOVE this post. I am going to pin right now! And start planning. This is a completely awesome list! Thanks. History, art, architecture, beautiful sights, you can’t go wrong when you go to Europe! We’ve been to plenty of places there and Italy will always be my favorite. Looks great. I love European cities. Lots of history and architecture. Your pics look great. Thanks for sharing. Amazing photos!! I enjoyed reading your post. I have been lucky enough to visit a few of these places. I’m proud to say I’ve visited over half of the places listed here. London is one of the places I am dying to get to! Next summer, we are visiting Croatia, Prague, and Vienna and cannot wait!!! What a great list of some of the amazing getaways in the world! I’d love to explore each of them! What a great list of places to visit! I’ve spent a lot of time myself in Portugal and can totally understand why it’s the latest hotspot. I’d love to see some of the cities you mention- thanks so much for the glimpse!! Great list!! I have only been to a few, Barcelona was one of my faves too! So many more to see. Your list and images make me want to get on a plane right now! These are beautiful cities! I want to visit every. single. city in this list! So absolutely dreamy. Omg I would love to visit all of these places!!! Especially London!! Definitely on my travel bucket list! You’ve listed some great places to visit! I’m from London so I’m biased – but it’s a fab city. I also love Paris too. I would love to visit Amsterdam, Vienna and Rome soon too. Thanks for sharing! Of course I am biased as I live in London so I think it is a fabulous city to have a weekend break but Slovenia and Amsterdam are pretty high on my list . Naturally as I love street art and good culture like museums Amsterdam sounds like an obvious choice and like you said it is incredibly easy to book a city break. I can’t wait to travel more this year. This is one of the great things about living in Europe, you’re a quick car or a train ride away from a stunning destination! Here, drive 2-3 hours and you’re still in the same province lol. We’re hoping to visit Iceland this year. Your travel opportunities are plentiful that’s for sure. Living in England gives you unlimited possiblities. I thought of that after reading another post one time. Living in the US a weekend jaunt is not exactly going to get us to far and back to work on Monday. At least not to another country (beyond Mexico and Canada). You’ve done a wonderful job by listing out these holiday destinations. Though I have been to few like London & Amalfi & Rome in Italy, I really need to cover Slovenia & Amsterdam now! I was just talking with my sister-in-law about how we need to plan more weekend trips! I totally agree that if you love travel, it’s not hard to find a way to escape the daily grind with these types of trips. I wish I lived in Europe so I could visit these cities easily, but I’ll have to look into some more in the U.S.! That’s a wonderful list, and I’m so lucky I can say I’ve already visited a lot from it (Paris, Amsterdam, Prague, and Budapest). I’m looking forward to see Nuremberg and Frankfurt this month, and I really really hope that in the near future an Icelandic visit awaits too 🙂 Great tips, thanks for sharing! Oh how lovely! I haven’t been to a lot of these places and yet my husband and I promise ourselves when the children are older we will have more weekends away. I love London for a weekend in the UK, you can’t beat it! All of these places look amazing. I know I would love them. But I think the one’s that looked the most interesting to me here were the one in Macedonia and the one in Croatia. I love the history and architecture in those places. Just very beautiful. Oh now I am having major wanderlust! How I wish I had the time and resources to visit all of these cities in Europe! Thanks for sharing these photos. Who knows, I may get a chance to visit each and every one. Yes! I want to go there. This list is so convincing. Watching this list and the places mentioned a travel lover would be packing his stuff by now. Thanks this great share. You have been to SO MANY countries! You are right though, if you live in Europe you can easily travel to other European countries. As someone who went inter-railing last year, I realised that 2-3 days is enough to I explore a couple a country if plan your time. Thanks for sharing! Okay let me live through you, beautiful photos, I have been living in Sweden and I find it absolutely beautiful. I can’t wait to visit some place you mentioned definitely Amsterdam . Loved this post, we are heading to Europe for my first trip next year, so I loved looking at this to try and work out where I want to go.